From rock to punk via jazz and everything in between, Florida is home to some of the best and most exciting music venues you could wish for. Here are ten of the very best the state has to offer. Serving up alcohol and music since 1890, the Green Parrot Bar is one of the best-known venues in Key West and with good reason. View the live action on webcams online or select your favourites from the juke box selection. Live music features a range of acts, including the Green Parrot Ukulele Society on the first Wednesday of each month. This venue began life as a railroad station but has been transformed into a medium-sized versatile arena. Styled along modern warehouse lines, Grand Central combines stunning lighting effects with a killer sound system. With its own stage, dance floor and flexible seating arrangements, the venue hosts music events every weekend with appearances from former members of Bauhaus and YngwieMalmsteen. Also in Miami is Churchill’s Pub, which has been providing music lovers with great sounds since 1979. Marilyn Manson played this venue in his early years, as did the Mavericks. Iggy Pop is no stranger to the Churchill stage. Monday night is Jazz Jam Night but on any night of the week the pub plays host a variety of musical genres, served up with great food and drink in a convivial atmosphere. A relative newcomer to the music scene in Miami, PAX is the name for the Performing Arts Exchange in Little Havana. The venue aims to push the boundaries of music and arts and provides a diverse calendar of live music in addition to a number of other art shows, events, theatre productions, talks and films. PAX features a number of performers with roots in Latin-American music and World-Fusion. The Social, along with its bigger sister The Beacham, plays host to Florida’s buzzing indie music scene. With acts which have included Super Furry Animals, this is the place to head for if you like performers who haven’t made it into the mainstream American consciousness. If you’re concerned about missing anything happening on the weekend, consider that it may actually work out more cost-effective to travel during the midweek to Florida. Thus saving money and taking full advantage of the thriving music scene on the weekends! Especially since the UK’s own The Vaccines are scheduled to play on the 13th of September! Will’s Pub has a capacity of just 200 but has carved out a niche as home to a thriving music scene. Claiming to be the mid-state home of indie music, the pub is a popular venue set in the heart of the creative area of Orlando. Established over a decade ago, the Orpheum is another indie hangout, featuring acts such as the Dum Dum Girls and Metric. Featuring regular rock performances and Battle of the Bands for local artistes, the venue also hosts popular ‘sink or swim’ events which include all you can drink for $10. It would be easy to miss the nondescript entrance to this venue in Jacksonville, but that would be a huge mistake. Renowned for its excellent acoustics, this is an outstanding venue offering a range of music in an intimate setting. 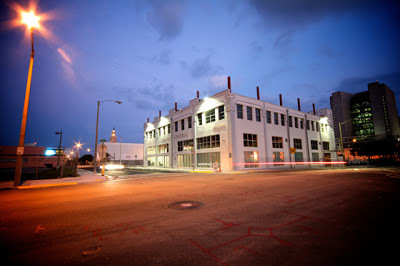 Another Jacksonville venue, Underbelly began as a speakeasy but has now been transformed into a state-of-the-art music venue with great food and a choice selection of quality beers. The venue is credited with regenerating the urban centre of the town. Thanks for posting nice information. I will surely plan to visit there.